Earle May Boat Basin Park, 1921. Built by Guy McKenzie, this house originally stood on Shotwell Street. The porch and columns were added in the 1950s. 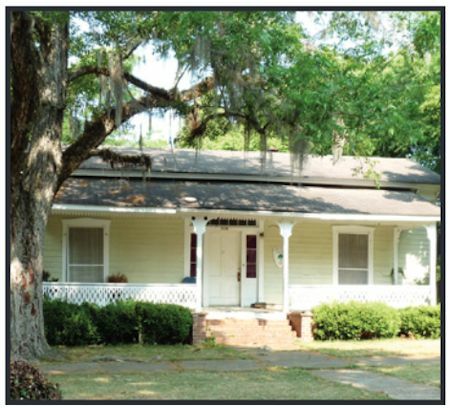 In 1989, the house was moved from Shotwell Street to its present location on the Flint River. It now serves as the Bainbridge-Decatur County Chamber of Commerce. Former Mayor B.K. 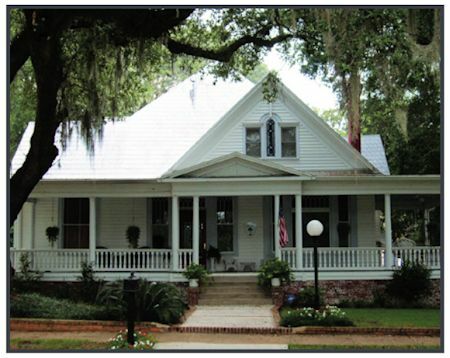 Reynolds grew up in this home. 315 West Shotwell Street, 1900. 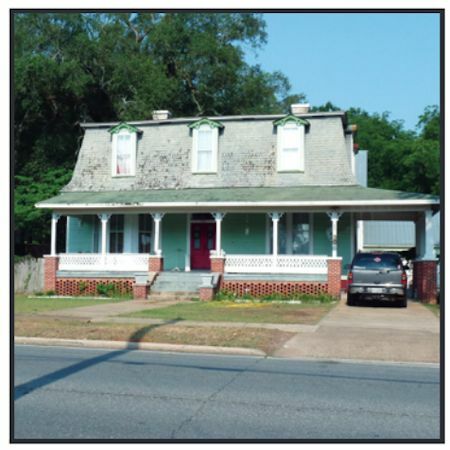 In 1903, Dr. Gordon Chason purchased this house from the builder, M.W. Howard and it has remained in the family since. 305 West Shotwell Street, 1870. 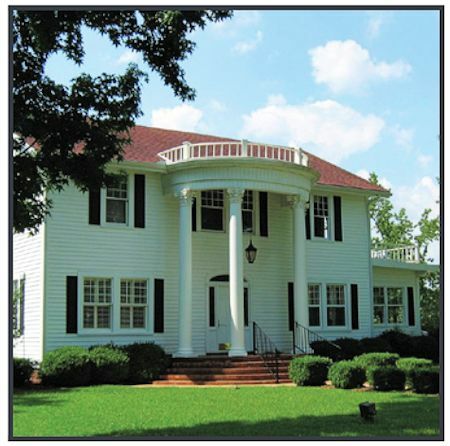 This Greek Revival-style house was built by Judge W.M. Harrell. 300 West Shotwell Street, 1908. The first church in this area was a Methodist "Log House" built in 1823 and used by multiple denominations. In 1840 a new church building was erected. 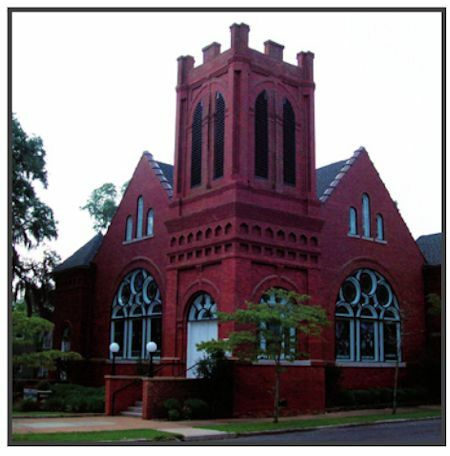 In 1854 a larger church equipped with a gallery was built, and it served the congregation until 1897, when Bainbridge’s first brick church, with a pipe organ and electricity, was constructed. This modern and beautiful church was completely destroyed by fire in 1906. The present Romanesque Revival Style sanctuary was completed in 1908. 320 Washington Street, 1840. 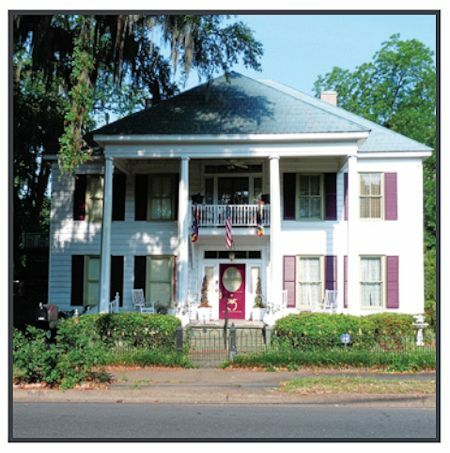 The Commodore Bed & Breakfast is a magnificent antebellum, Georgian-stylemansion. 622 West Street, 1897. 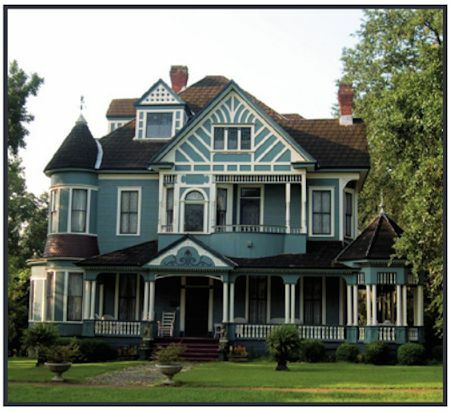 Built in the Victorian era by E.J. Perry, a prominent Bainbridge businessman. This was the first house in Bainbridge with an indoor toilet. 706 West Street, 1906. 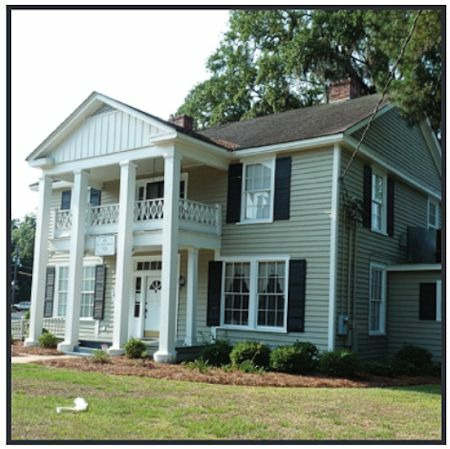 John S. Thomas built this two-story home of virgin pine timber. 722 South West Street, 1855. 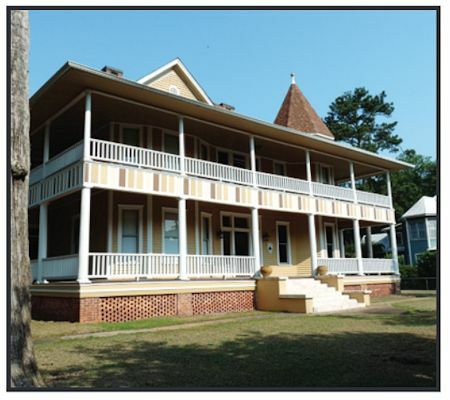 When this house was built by Oliver Evans, it was on a 26 ½ acre tract. Elements of Second Empire style. 104 East Shotwell Street, 1904. 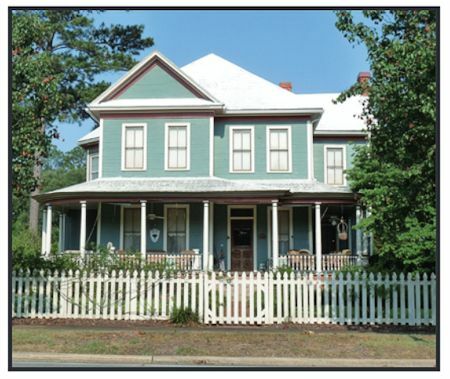 This house was built by Thomas C. Wainman, a northerner of great wealth, who was attracted to the area’s virgin pine forests and moved south in 1893. He erected a handsome, four-story structure known as the Wainman Hotel in 1900 and followed the Romanesque Revival-style when he built this transitional period brick residence for himself. 200 East Shotwell Street, 1900. In approximately 1854 a church building was erected at the corner of West and Troupe Streets.In 1874 the church burned, but the communion ware and pulpit Bible were rescued from the fire. 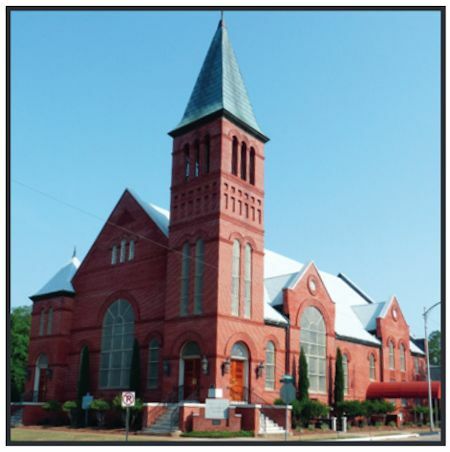 A second church building was begun in 1875 on the northeast corner of Broad and Evans Streets. Construction began on the current Romanesque Revival style church building in 1900. The pews and stained glass are original; pulpit and pulpit furniture were acquired when this church merged with the Climax Presbyterian Church. The first church organ, installed in 1903, was dismantled and sold in 1955. It has been replaced with an exact replica. 328 South Broad Street. Although the date and builder of this cottage are unknown, the front rooms are believed to be the oldest standing structure in town. 414 South Broad Street, 1916. 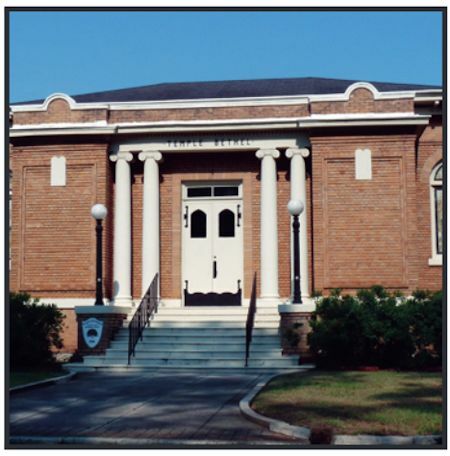 Temple Beth-El is home to Bainbridge’s small Jewish community, and is located on the corner of Broad and Evans street.The Neoclassical Revival-style building itself was dedicated on December 19, 1916, but the beginnings of the Jewish community go back to March 9, 1878. At that time, the City of Bainbridge deeded to trustees of B’nai B’rith a tract of land for a Jewish cemetery. 110 East Evans Street, 1901. 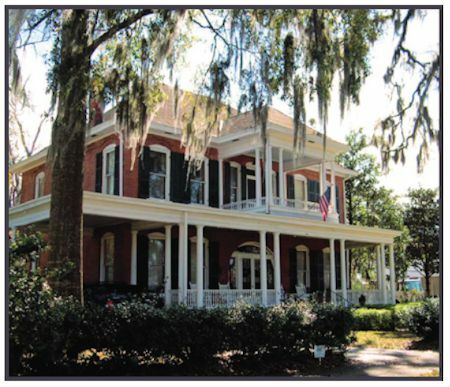 Built by Captain Joe S. Desvergers, this house was originally Queen Anne in style. Captain Desvergers’daughter significantly altered it by adding Neoclassical front portico in 1940. 309 East Evans Street, 1905. A vernacular cottage built by Judge H.B. Sooner, a circuit judge in Bainbridge for 20 years.Bertram Ehrlich, a local pharmacist, owned the house for approximately 20 years. The marble countertops from his downtown drugstore are now around the fireplace in the home. 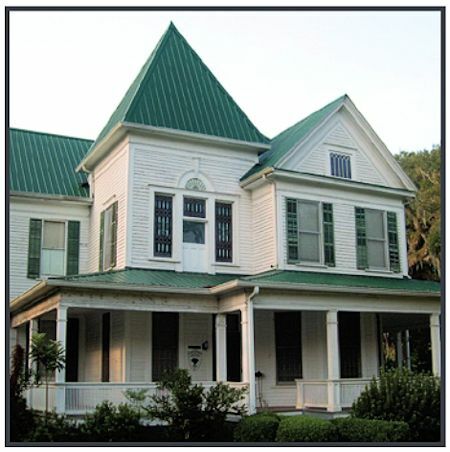 The current owners purchased the house in 1996 and began major renovations. 416 E. Evans Street, 1880. The first known owner of this house was D.T. Mathis. 640 Hall Street, 1903. 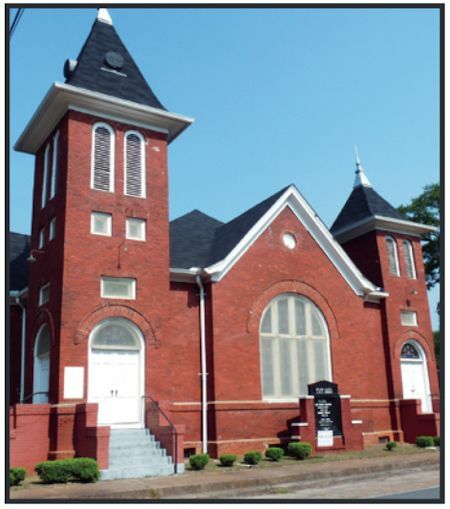 Founded in 1869 as a “bush arbor” church, the church moved to its current location in 1902 on a lot that was donated by Mr. Adam Nelson. The basement beneath the sanctuary was carved out by hand by the Jackson brothers with a hammer and chisel and the thick, broken stones were hauled away by horse and buggy. Construction of the church was completed in 1903 with a sanctuary, choir loft, restrooms and communion preparation room on the main floor. The lower level included a large gathering space, pastoral offices, food preparation area and storage space. In later years, the Carillon Tower Chimes were added and for many years were used as a "call to worship"” for the surrounding community. Over the years, the church has grown to more than 500 members with eight choirs, several musicians and many ministries to support the surrounding community and congregation. 632 East Shotwell Street, 1898. 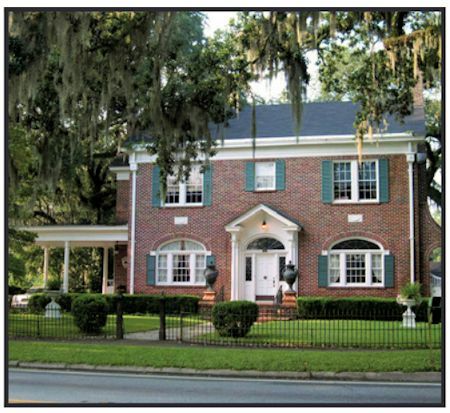 Another imposing Queen Anne style home, built by a local lumber baron. 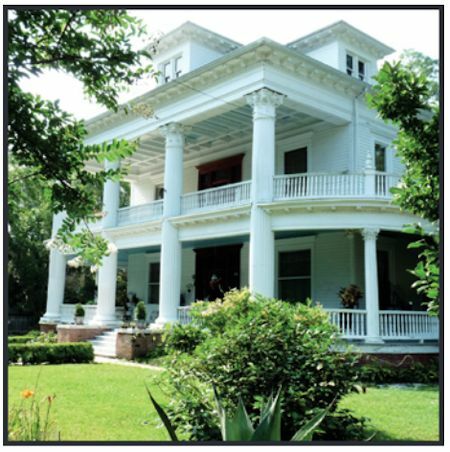 Features elaborate moldings, staircase, tin ceilings, hand-selected floor boards, and stained glass windows. The mantels and doors were saved when the first home on this lot burned. The dining room is large enough to seat 50 people. Owned by the Ehrlich family, who also owned the local Rexall Drugstore and Rexall public swimming pool from 1909 to 1977. 525 East Shotwell Street, 1898. 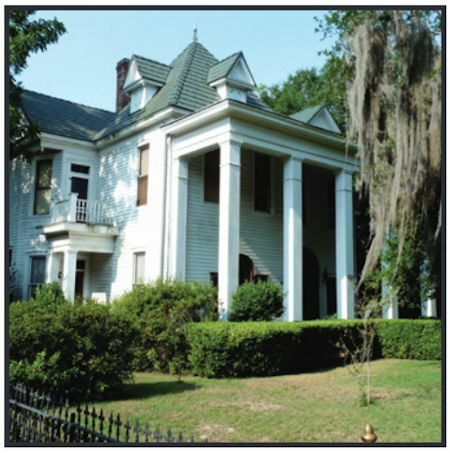 A beautiful Queen Anne-style home built by John E. Donalson, for whom Donalsonville, Georgia, is named. 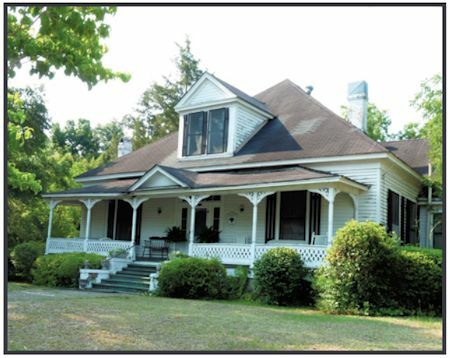 It is the first home in Bainbridge known to have “wire screens.” It still has the original carriage house in the rear. Tiffany-signed stained glass windows were original part of the house.An antique dealer purchased the house,removed the signed windows and then resold it. 524 East Shotwell Street, 1925. 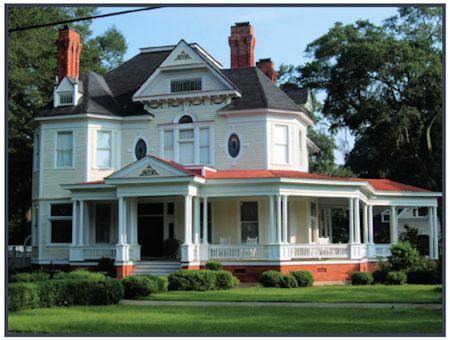 This Colonial Revival design was built by Dr. R.F. Wheat. The iron fence is typical of the kind that was along Shotwell Street prior to World War II, when most of it was donated to the war effort.